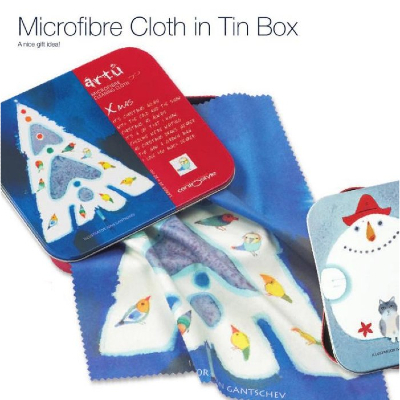 CentroStyle Christmas Tree Microfibre Cloth in Tin Box ~ Perfect Stocking filler! A bright and fun way to enjoy the festive season. Great stocking filler! The perfect Christmas gift for cleaning Binoculars, Telescopes, Cameras, Computer Screens, CD/DVD's and of course Spectacles! Large size microfibre cloth 178mm x 230 rectangle! Re-usable tin keeps it clean!